The mayor of Tuktoyaktuk says the community has endured years of Band Aid solutions for its rapidly deteriorating coastline — and says fixing the problem could cost up to $50 million. Tuktoyaktuk is threatened by the ground shifting beneath it. This month, the community government expects to receive a report outlining the costs of protecting the Northwest Territories hamlet from coastal erosion and the threat of rising seas. Mayor Merven Gruben said the community, with a population of about 900, has grappled with a slow trickle of funding and years of Band-Aid solutions. He expects the report from Baird Consulting will be "ammunition" to seek more funding to slow erosion. Gruben, vice president of E. Gruben's Transport Ltd., has been involved in major infrastructure projects in the North, such as the $300 million Inuvik-Tuktoyaktuk highway. He estimates it will cost between $20 million and $50 million to protect against further erosion — small change compared to the costs of evacuation, he said. Meanwhile, Gruben said it seems new climate reports emerge daily, spelling fresh trouble for Arctic communities. Climate change is happening "even faster than we expected," he said. "We knew this was going to happen 20-30 years ago. All of a sudden everybody is hollering at the same time that it's happening." 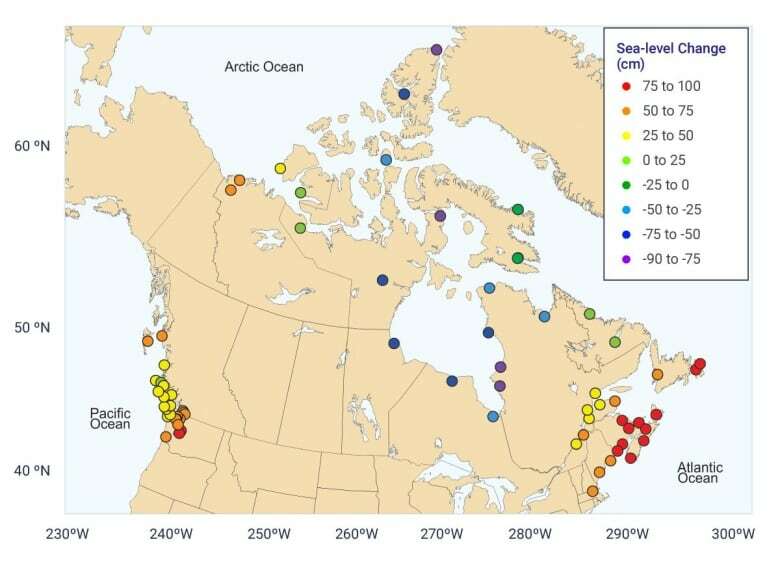 Shrinking sea ice and rising sea levels will compound storm surges in communities like Tuktoyaktuk, explained Chris Derksen, a research scientist with Environment and Climate Change Canada. Multi-year sea ice in the Beaufort Sea buffers the coastline. In the the Beaufort Sea, that ice has declined by eight percent every decade since the late 1960s, resulting in open water in summer months. Arctic sea ice is already tracking to below seasonal records and sea levels could rise between 50 and 75 centimetres by 2100, said Derksen. "Communities like Tuk are right on the front lines of dealing with the impacts of climate change now. It's not a future event for them," he said. Derksen says that even if global emissions are reduced, the Arctic will warm by four degrees. If not, the Arctic will warm by more than 10 degrees by the end of the century, causing more extreme and expensive damage, he said. "That's only 80 years from now," he said. "People who are being born now, some of them will still experience that. To me, that's a really dramatic number that people should be concerned by." 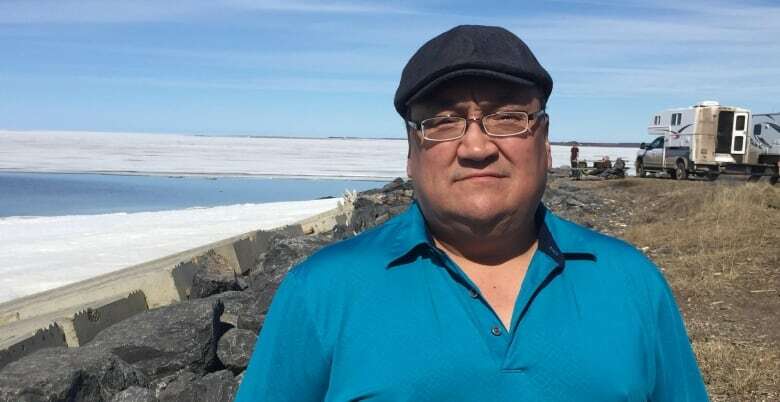 People in Tuktoyaktuk are already taking steps to protect their community, such as moving buildings from the northernmost point, which continues to wash into the sea every summer, said Gruben. The hamlet is considering dredging the harbour and building up the island. Shoreline breaks need to be rebuilt or a nearby lake will become part of the ocean, Gruben said. 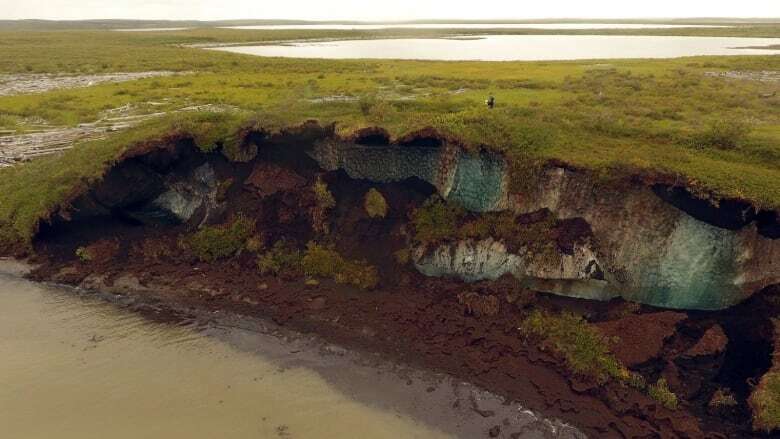 Tuktoyaktuk is in an "emergency situation" similar to communities in Alaska, where several communities are already on the move because of erosion, he said. Getting new money from the territorial or federal government to move buildings is a long-term challenge, he said. "If it's up to them, those houses would be in the ocean by now. It's just taking forever," said Gruben. In the early 2000s, Gruben said he made a quip about limited funding to then-premier Stephen Kakfwi. "Everybody kind of laughed at us at the time. I said, 'I mean, you're not doing anything, might as well give us some life jackets. Maybe we wake up one morning and we're all flooded." The hamlet also faces intense permafrost melt, which is most visible in the Tuktoyaktuk cemetery in the summer, he said. "Even if Tuk washes away, we're going to protect the cemetery. We can't let our loved ones be washed away into the ocean. It's sacrilegious," he said. The territorial government's Municipal and Community Affairs Department is spending $931,000 on infrastructure in Tuktoyaktuk for 2019-20. Each year, $29-million is spent on public infrastructure for all 33 communities in the territory, said Lorie Fyfe, the department's director of governance. Fyfe said Gruben's estimate of up to $50-million for mitigation is "not out of the ballpark." Once the hamlet gets its report from Baird Consulting, the department will help Tuktoyaktuk access outside funding, she said. But accessing outside money is like "pulling teeth," said Gruben. "Right now the Band-Aids are really worn out and busted and we're really in bad shape along our western shoreline," he said. Gruben said that while the community bears the brunt of climate change, its small population isn't the key driver of climate change, said Gruben. "The best thing we can do is educate the people in the south to learn how to conserve energy," he said.